CTR also has item management mostly where it's needed during a race (and it also has good balance in it), but being able to pick the fastest route should be on you 99% of the time. What is up with Era shitting on vegans/vegetarians all the time? Anyway, it'll be nice to see Mario Kart potentially have some new competition, CTR always felt like a franchise that never really got started. I'd personally like to see them try and take some of the mechanics from ModNation (I.e. the track editor) and put them into a more successful framework. that's a weird way to read my post. did i say the ps4 version wasn't a success? also i'd like a source on the outsold combined thing. Launch week UK was ~25k for Xbox, Switch combined and over 100k for PS4. CTR is still the most fun I've ever had with any karting games, it just gets the core gameplay better than any of the myriad karting games that came after, and I played my share of those. 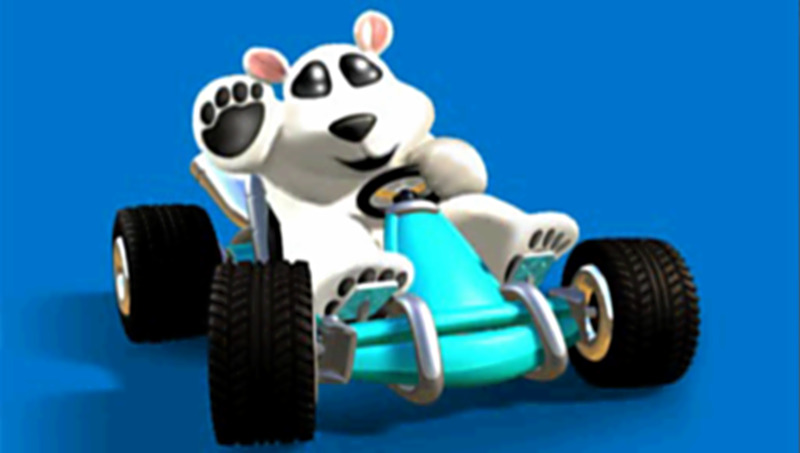 Heck, the only karting game that came close to being as fun as CTR was Sonic Racing Transformed. Playing this online will be crazy fun. That‘d be really cool, please do it Sony/Activision or whoever is involved with this! I‘d be ok with new tracks and characters as long as it‘s on top of all the original content, because CTR was a little bit too short for my taste. Between this and Metroid, TGA might be better than E3 for me. I would be so down for this. but that's one week, in one market (that leans very heavy towards ps4). you said ps4 version has outsold the 3 versions combined, so unless you have a source for that, you're not correct. and not that it matter a lot, but this week in the UK charts, the xbo and switch versions are in the top 40 but ps4 version isn't. Sorry in advance for destroying EVERY SINGLE ONE OF YOU online with my boy Dingodile. I'm pretty damn good, or was, I've not played in years, at this game, but I could never get the shortcut at the end of Cortex Castle, where you do the 90 degree left turn and jump onto the wooden beam to skip the stairs. It's literally the only shortcut I could never do. Everything else I was perfectly fine with, but I don't think I landed that even once. Booom, this one gets it right. 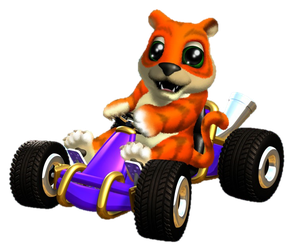 Not even the newest MK comes close to the (simpler) gameplay of CTR, making it the absolute best kart game ever and still unsurpassed after all this time. I want PAL Penta Penguin, even though I know they won't do it. PAL? Wasn't he in all versions? Will penta penguin still be op? He had max stats on the PAL version. For me it's the shortcut in Sewer Speedway where you have to use the halfpipe with boost to jump into a hole in the wall that's super inconsistent. I don't think I've ever not failed that jump at least once in a race. But who was Tiny Arena? CTR was more fun than any Mario Kart for me, can't wait to see it back. N.Gin Labs. Always loved that speed tunnel. Sewer Speedway. You never stop drifting and it's really rewarding to hit that shortcut. Papu's Pyramid is a close second though. I've never actually met a vegan or vegetarian who is all preachy about it, only assholes whining and projecting. Here's hoping for a locked 60 FPS and online multiplayer a la MK8. Played this game a lot when I was a kid. Ready for this! Do sony own the rights to CTR or did I misread something? Wouldnt this make it exclusive? Oh my, yes, I want that. Played it for hours, aiming for the platinium relics in time-attack. It'd make sense, but it depends if anything has happened behind the scenes that could let them release multiplatform. It'd be cool for it to be multiplatform, but I think people should be prepared for it to be an exclusive. From My understanding they do own CTR. It's up in the air what kind of deal they made with activision. Papu's Pyramid was great. It was one of the two tracks in the CTR demo! I was sold on the game in an instant after playing it. But honestly I'm not even sure what my answer is. CTR's track quality was so high throughout. Did you try the shortcut on papu's pyramid? Despite the fact that I was having nice conversations about this game yesterday (having never played it) - it does seem a little odd that this is a constant thing that happens with this game. I don't see Mario Kart fans saying this kind of thing unless they're defending it, or prompted to - at least here on Era anyway. As though praise of this game can't come from its own merit, it has to come from that it's "better than any Mario Kart". As someone with no nostalgia attached to this game, it certainly doesn't look better than "any Mario Kart" to me (not only visually, but from a gameplay perspective) - but I'm open to trying it. i started playing the game on my psp after like, 5 years i think. the game still looks amazing, and the track designs (and visuals) are great. i hope they change nothing. naughty dogs really nailed the visual aesthetics of track design in a kart racing game, it's very impressive. I don't remember the Blizzard Buff one, but the Papu's Pyramid one is burnt into my brain lol. People will always compare things to something that is more popular and successful. Hack and Slash games will always be compared to Diablo, RPGs will always be compared to Skyrim and Witcher 3, Shooters will always be compared to Call of Duty. Karting games are no exception here, people are comparing CTR to MK because it is the most popular game in the genre. You're not wrong, but it does seem to be especially prevalent in this case lol. Hopefully no deal, for a change let everyone just enjoy it. And now all Naughty Dog games released for PlayStation consoles will be playable on PS4. I think we're still missing Jak X.